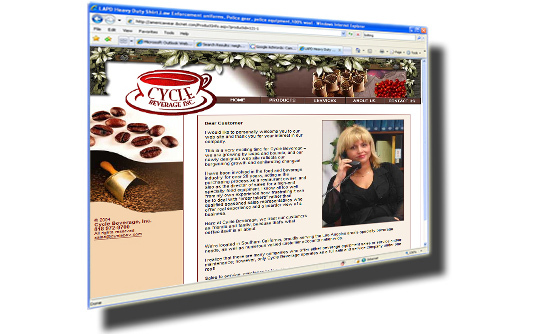 Cycle Beverage is a leading beverage company specializing in sales, service and installation of espresso machines, beverage equipment, espresso carts, drive-thru units and kiosks. 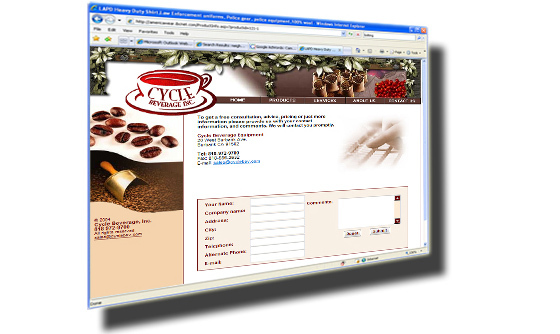 IBCnet was chosen to re-haul the entire site with a new company image and previously used oscommerce shopping cart. 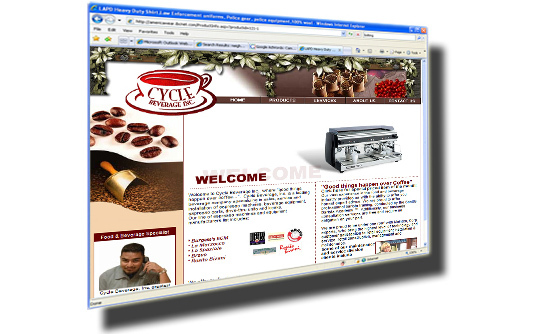 PHP, DHTML, Flash, CSS, HTML, and Java.